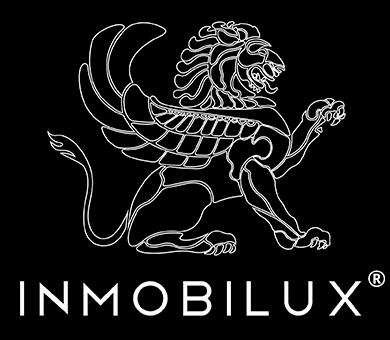 INMOBILUX is a real estate agency focused on specialty and luxury real estate, which offers professional and ethical service according to your objectives and needs, always representing your interests for the purchase, sale, rent, investment or operation carried of the properties. Our mission is to help you find the best real estate, adapting to your investment needs in the best developments, subdivisions and condominiums in the world. Unique marketing tools for property promotion. Appropriate descriptions and digital strategies for the sale of real estate. We also have legal services, tax advice, notaries, managers, appraisers, mortgage brokers, etc..., all with the purpose of providing a comprehensive service throughout the process of buying, selling and renting real estate. For the promotion of properties, we elaborate an individualized work plan where we contemplate everything we have to take into account according to your requirements, starting with a comparative market study, a specific marketing plan and the realization of a tax and financial analysis of the sale, valuing different ways to implement the operation with the purpose of minimizing the impact of the fiscal cost and maximizing the expected returns. If you are looking for a property as an equity investment or you have doubts about how to invest in real estate, we will represent you until you find the most convenient option based on your preferences, starting with a thorough study in the areas of interes, to evaluate the best options, and to put at your disposal exclusive and select properties of great opportunity and potential for added value in areas of greatest growth. Within our extensive catalog of properties you will find images of the luxury residences that we have for sale, photos of the interior of avant-garde homes, the best designs of minimalist houses with gardens, residences with swimming pools and modern luxury homes. If your interest is in acquiring an apartment, in our page you will find the best buildings with incredible and luxurious options, we are sure that when you see the interior of each of our apartments you will want to invest in real estate. Other investment options that we offer are sale of land with the best dimensions in square meters, sale and rent of offices, sale and rent of shops and rent of warehouses in different cities of the world, all excellent options of investment in real estate ideal to fit your needs and preferences.